This concert presents the Kings Place debut of the exciting “sound collective” ensemble, featuring well-known chamber musicians from other high-profile groups. They present the first of a mini-series of three concerts celebrating the string trio, a genre arguably even more organic and taut than the string quartet. Each concert pairs one of Beethoven’s remarkable Op. 9 set of trios with a 20th-century example in the medium, and then adds a pianist to present one of the three piano quartets by Brahms. This concert features the first of the Beethoven trios, the 1996 Trio by famous Dutch composer John Borstlap, and Brahms’ ever-popular G minor piano quartet, with its wild Hungarian finale. 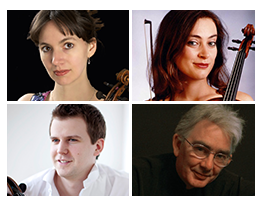 Rousseau Quartet will reflect the LCMS programme with a selection of Beethoven and Brahms arrangements for wind quintet, and also works for wind quintet written by other German masters. 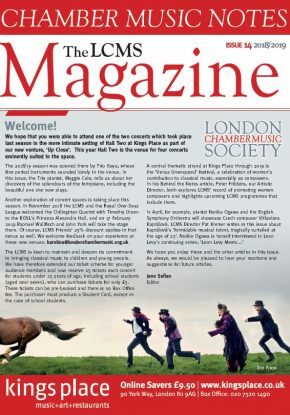 The Rousseau Quintet was formed in 2014 by students at the Royal College of Music. 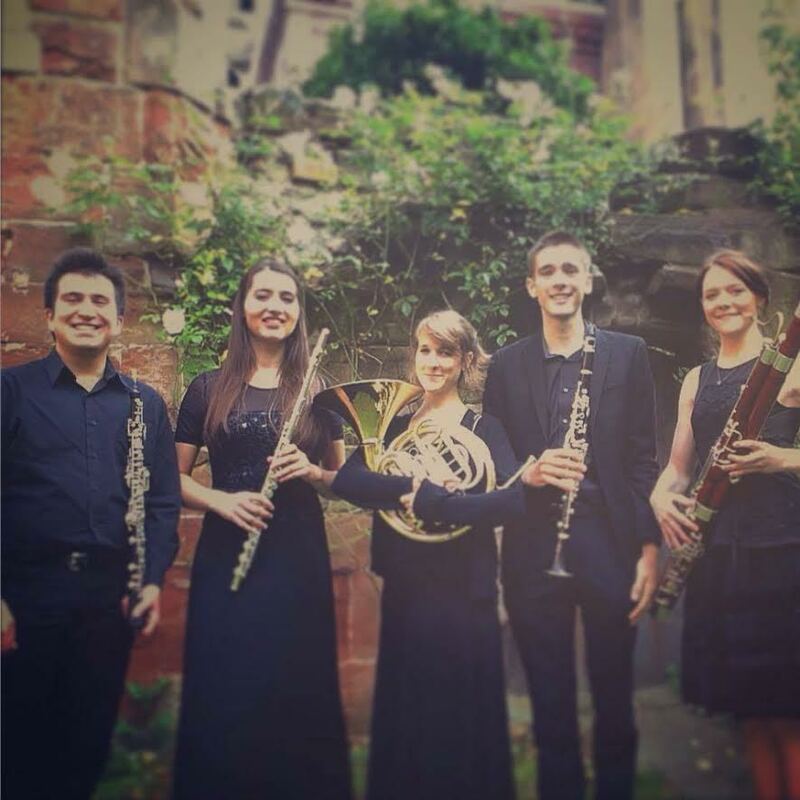 They have since performed at a variety of music festivals including the ‘Autumn in Malvern’ Festival, performances for the Princes Risborough Music Society and a variety of RCM Chamber music series. They also performed for the Calefax Reed Quintet Masterclass in late 2015.